Alfa Romeo team boss Frederic Vasseur admits he spent Sunday’s Chinese Grand Prix with his fingers crossed, hoping that Kimi Raikkonen’s car would not succumb to a reliability problem. After Ferrari’s Charles Leclerc was hit with a control electronics issue while leading in Bahrain, Ferrari provided its customer teams with a fix but Alfa Romeo declined to implement the update because of fears linked to timing constraints. However, the Swiss outfit quickly regretted that decision when Antonio Giovinazzi was sidelined for qualifying on Saturday when his engine was diagnosed with the same CE failure that had hit Leclerc at Sakhir. 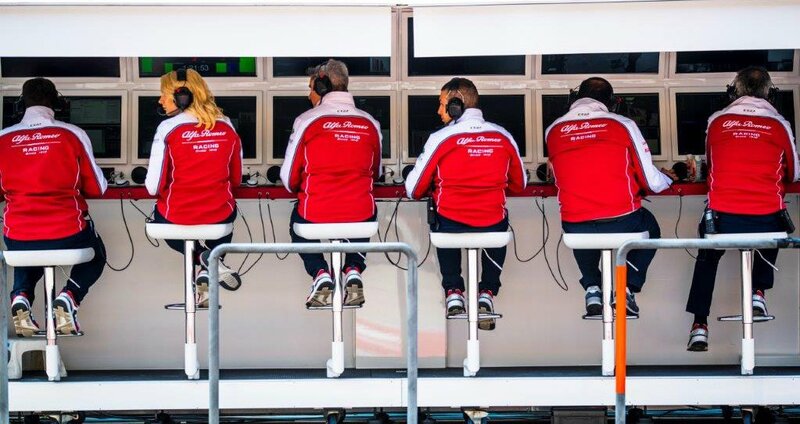 Given the fact that no changes were made to Raikkonen’s unit, Vasseur took his seat on the Alfa Romeo pit wall with a sense of anxiety. “I had my fingers crossed on the pit wall,” Vasseur told Motorsport.com. Indeed, Raikkonen enjoyed a trouble-free afternoon in Shanghai, running as high as seventh after launching his race from P13 and finishing ninth after a spirited drive hot on the heels of Racing Point’s Sergio Perez. “He’s scoring points, even when he’s starting 13th,” said Vasseur who was delighted by the performance of F1’s veteran. “He was a bit upset not to be able to catch Ricciardo and Perez at the end, which is a good sign! “The pace was there, and I think we were even able to catch Ricciardo and Perez, but we had some small damage 10 laps before the end on the front. The post Alfa Romeo’s Vasseur had jitters over Raikkonen’s reliability appeared first on F1i.com.